Bernardo is a new student who speaks only Spanish. Francine mistakenly concludes he isn’t very smart because he doesn’t respond to her questions. Later, when Bernardo helps Audrey with her tin-can telephone project, Francine realizes he’s actually very smart. Mr. Ortiz explains to the other children that he spoke only Spanish when he first came to America, and that it wasn’t easy to learn English and fit in. Arthur suggests starting a Spanish-English club. 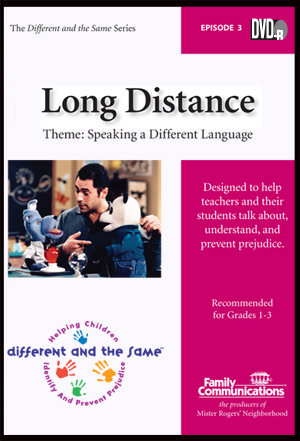 Activities:Make languages less foreign by introducing students to books, songs, and tapes in other languages, multilingual labeling exercises, and pen pals whose first language isn’t English.